Fiber optical networks have dominated for long-haul communications for years, increasingly used in short distance applications, such as local area networks (LANs). And the Ethernet data-rate needed for these high-performance fiber optic networks increases from 1Gbps to 10Gbps, to 40Gbps, to 100Gbps, or even higher. Together with this speed increase, a term, laser-optimized fiber, has crept into the telecommunication market. What is laser-optimized fiber? How much do you know about it? Knowing answers to these frequently asked questions (FAQs) about laser-optimized fiber will help you prepare for the latest wave in optical communication networks. FAQ 1: What Is Laser-Optimized Fiber? Laser-optimized multi-mode fiber (LOMMF: OM3 & OM4) differs from standard MMF (OM1 & OM2), because the former has graded refractive index profile fiber optic cable in each assembly. This means that the refractive index of the core glass decreases toward the outer cladding, so the paths of light towards the outer edge of the fiber travel quicker than the other paths. This increase in speed equalizes the travel time for both short and long light paths, ensuring accurate information transmission and receipt over much greater distances up to 300 meters (OM3) and 400 meters (OM4) at 10Gbps, while OM1 and OM2 can only realize 26 meters and 33 meters link length respectively at the same data rate. 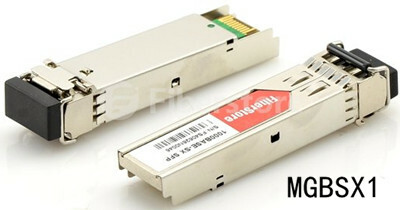 And when 1000BASE-SX SFP transceivers transmit and receive signals over LOMMF and standard MMF at 1Gbps, the possible link lengths achieved are also different, with OM1 275-meter reach, OM2, OM3, and OM4 up to 550-meter reach. Take MGBSX1 for example, this compatible Cisco 1000BASE-SX SFP listed in Fiberstore supports up to 550-meter link length over OM2. FAQ 2: Why Have MMF Been “Optimized” for Use with Lasers? As the demand for bandwidth and higher throughput increased, especially in building and campus backbones, LEDs, short for Light Emitting Diodes, that are used as light sources in fiber optic systems could not keep pace. With a maximum modulation rate of 622Mb/s, LEDs would not support the 1 Gb/s and greater transmission rates required. The use of traditional lasers (Fabry-Perot, Distributed Feedback) typically used over single-mode fiber (SMF) could accommodate this problem. However, it’s very expensive due to the higher performance characteristics required for long-distance transmission on SMF. As such, a high-speed laser light source, a Vertical Cavity Surface Emitting Laser (VCSEL) was developed. These VCSELs are inexpensive, suited for low-cost 850nm multi-mode transmission systems, allowing for data rates up to 100Gbps in the enterprise. With the emergence of these VCSELs, MMFs have been “optimized” for operation with lasers. FAQ 3: Why Are LOMMFs the Best Choice for Use with VCSELs? After VCSELs appears, to fully capitalize on the benefits that VCSELs offer, LOMMFs have been specifically designed, fabricated, and tested for efficient and reliable use with VCSELs. LOMMFs have a well-designed and carefully controlled refractive index profile to ensure optimum light transmission with a VCSEL. Precise control of the refractive index profile minimizes the modal dispersion, also known as Differential Mode Delay (DMD). This ensures that all modes, or light paths in the fiber arrive at the receiver at about the same time, minimizing pulse spreading and, therefore, maximizing bandwidth. LOMMF is completely compatible with LEDs and other fiber optic applications. LOMMFs can be installed at slower data rates or higher data rate. When there occurs the data rate migration from 10Gbps to 40Gbps, there is no need to pull new cable. You only need to upgrade the optics modules to VCSEL-based transceivers, avoiding infrastructure redesign. LOMMFs are the suitable medium for short-wave 10G optical transmission. Their great bandwidth- and information-carrying capacity make them more popular among consumers than standard MMFs especially in 10GbE systems. Fiberstore supplies countless OM3 and OM4, as well as OM1 and OM2 for your network projects. Besides, other kinds of fiber optic cables, like MTP cable and SMF, are also available in Fiberstore. For more information about fiber optic cables, please visit Fiberstore.